EYE EMPIRE — the band featuring Corey Lowery (STUCK MOJO, STEREOMUD, DARK NEW DAY), B.C. Kochmit (SWITCHED) and Ryan Bennett (TEXAS HIPPIE COALITION) — has parted ways with vocalist Donald Carpenter (SUBMERSED). Lowery, Kochmit and Bennett said in a statement: "For the last several years, we have committed every ounce of energy we collectively have to EYE EMPIRE. We've shared great heights and unbelievable lows. Through it all, we stood together like brothers, sacrificing on behalf of one another pursuing a dream. That vision, and the hopes that come with the quest, remain. "Following the last run, it was brought to our attention that one member was making moves to re-assemble a former band. The moment that transpired, and there was an absence of communication, it was clear he had left the band. "For the fans that have supported us, we love you and owe you so much. "There will be another EYE EMPIRE album, and we will return to the road. However, that news will come when we find a fourth partner who is unequivocally committed to the journey and understands that our business is not to be misrepresented and aired with deceit publicly." For his part, Carpenter posted the following on April 3: "Starting over is always hard but it's not the first time and I'm am certain that it won't be the last. "Things are starting to come together, but still getting those curves coming in every once in awhile, but hey, that's life!" 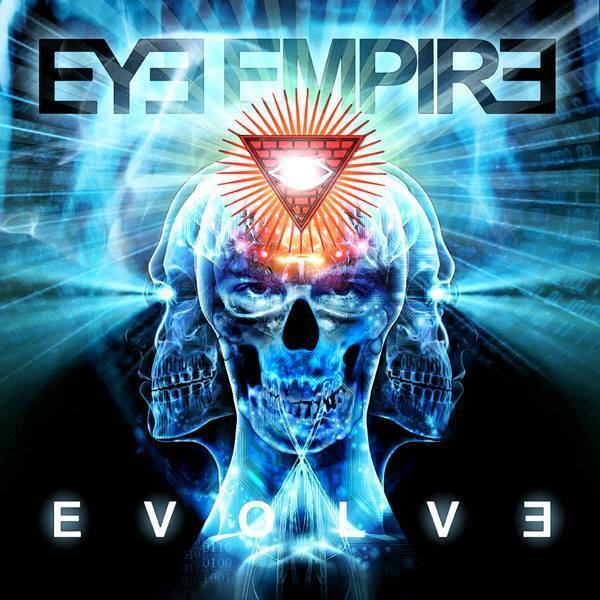 EYE EMPIRE's latest album, "Evolve", was released on October 29, 2013. The members of EYE EMPIRE all have seen success in the past through other ensembles. With the formation of EYE EMPIRE, however, they have proven a commitment to seeing through what they started. Lowery remembered: "B.C. and I started playing together when he was in SWITCHED, and I knew that he would be the guitar player that I would one day create something special and lasting with. He has a great sense of melody with rhythm and solos and a great understanding of arrangement and what's best for the song. He knows the difference between shredding and holding one note, and making that one note sing. He truly has his own style as an artist." With the youngest member of the quartet, Ryan Bennett, Lowery reflected: "Simply one of the baddest drummers to come to the rock 'n roll scene in years. Grabbing some of his favorite drummers and making his own style with EYE EMPIRE. He's the guy that is always smiling staying positive until he gets behind the drums then he explodes."